Thanks to my Pinterest addiction, I recently came across something that really caught my eye… an ice cream recipe from Cookies & Cups that a) only required two ingredients and b) didn’t require an ice cream churn. What the what? Sign me up! 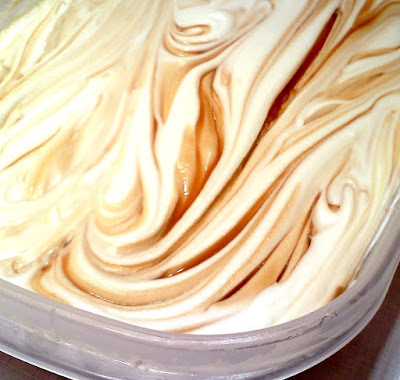 I did add a little vanilla extract and then swirled it with butterscotch caramel ice cream topping but technically, you only need the two main ingredients: whipping cream and sweetened condensed milk. As for adding other flavors and toppings… the possibilities are endless. Now, this is insanely rich so I don’t think I’ll be making it often but for birthday parties, block parties and summer barbeques… this is going to be my new go-to recipe to blow everyone’s face off with homemade awesomeness. With an electric mixer, whisk whipping cream on high speed until stiff peaks form. Fold in vanilla and sweetened condensed milk. Fold into a sealable container. Pour a few ribbons of ice cream topping over cream mixture then swirl with a spoon to incorporate it throughout. Freeze for 6-8 hours then serve. 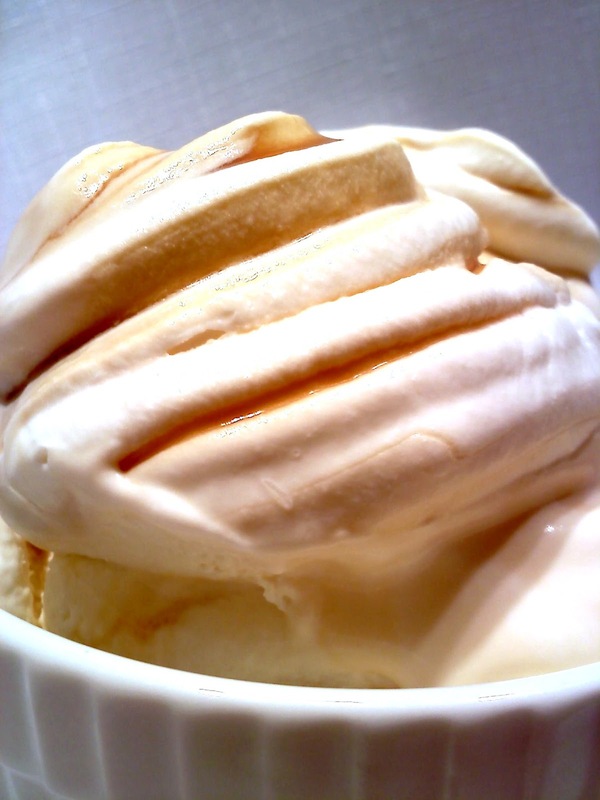 Banana Pudding – add banana slices, crushed vanilla wafers and marshmallow ice cream topping. Butter Pecan – substitute the vanilla with butter flavoring and add chopped pecans. Cookies & Cream – add crushed Oreos and fudge ice cream topping. Cherry Chocolate Chip – substitute the vanilla with almond extract and add cherry pie filling and mini chocolate chips. SO EASY - will have to try it SOON! Looks fantastic! Love the recipe. Simple and delicious!